Apart from providing us with a tasty chocolate treat, did you know Easter Bunnies make wonderful prompts for other forms of creativity? Here are some ideas to get kids started, including a link to a free PDF comic I created, and underneath you’ll find a list of all my creative prompts to date. *** Find out how to make a chocolate or marshmallow Easter Bunny. Make some for your friends, and decorate them creatively. *** The Easter Bunny has to wear a disguise this Easter. Why might that be? Can you create that disguise, by describing in words, drawing a picture or using your craft skills? *** Set up an Easter egg hunt for some younger kids. You could make a map, provide some clues on where to find the eggs, and even make up some riddles to help! *** "Robot Easter Bunny" - what could possibly go wrong? *** Each year, your school principal dresses up as the Easter Bunny so he can give out the prizes for the Easter Hat Parade. But this year, something is different. What is the problem? How is it resolved? Tell the story. *** Listen to the words of an Easter song or poem and re-write it with words of your own. *** Use fingerprints to create an Easter Bunny scene. Here’s a tutorial to get you started. 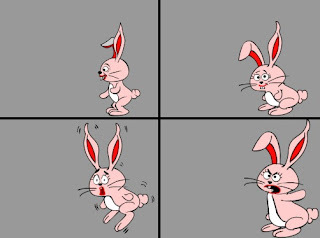 *** Design a board game in which you could use an Easter Bunny and some Easter Eggs. 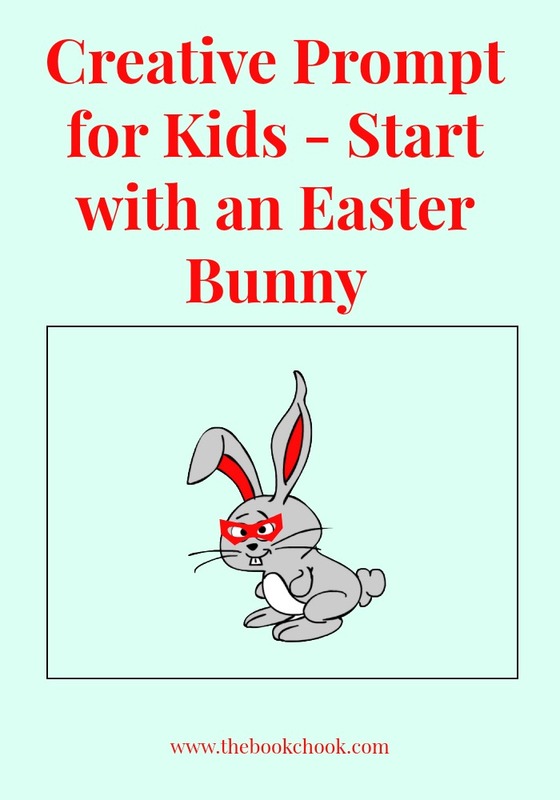 *** Create an Easter Bunny puppet. *** Here’s a four-frame comic started for you. Finish the comic by drawing any characters and other details you imagine for your story, and add speech bubbles and/or captions to help other work out what’s going on. You can also download this comic as a free PDF at my website, so it’s easy to print out for kids. 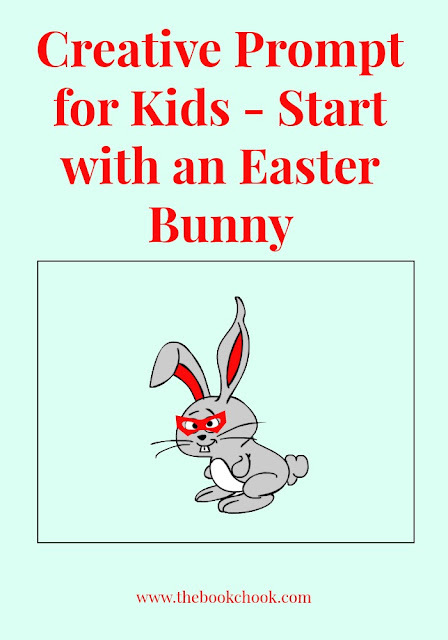 *** Make a shadow puppet story about an Easter Bunny. *** If someone gave you a real bunny for Easter what would you call it? Where would it live? What would you feed it? How would you look after it? Can you think any problems that might come up? How would you solve them? Draw your bunny and label everything in your picture.